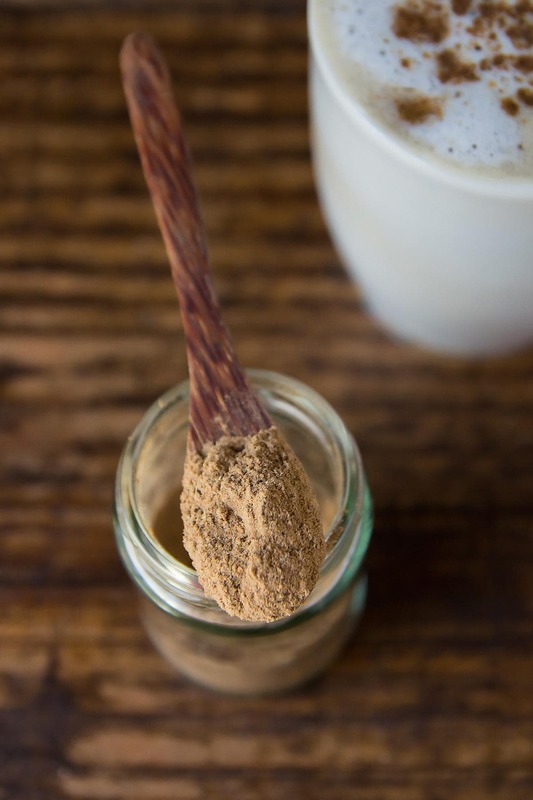 If you love chai lattes, you need to whip up this homemade Masala Chai Spice mix! 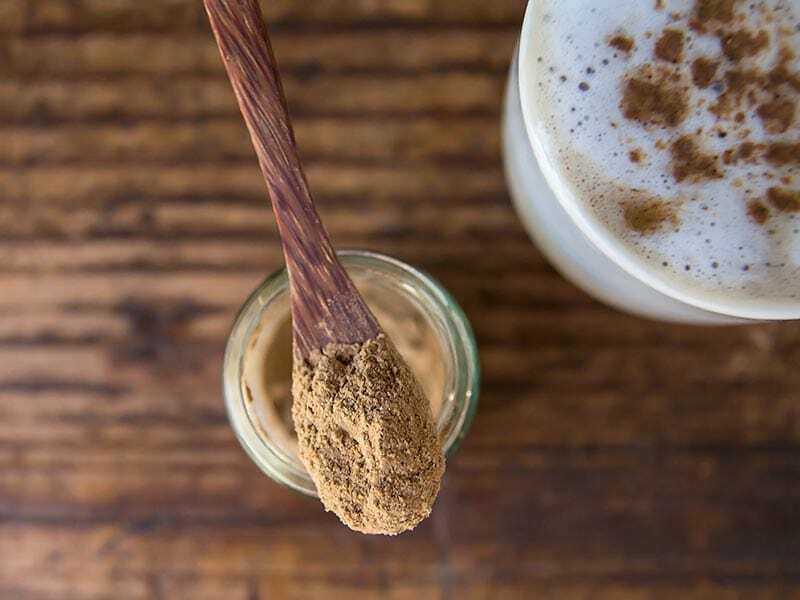 With this chai seasoning mix on hand, you can easily give your baked treats a delicious chai flavor or quickly make your beloved chai tea latte at home. Now let me put this disclaimer right at the beginning: I make absolutely no claims that this chai tea mix is authentic – in general or to any specific region. I realize that in South Asia Chai (which actually just means tea) or Masala Chai (spiced tea) is usually prepared with whole spices being infused into water or milk. 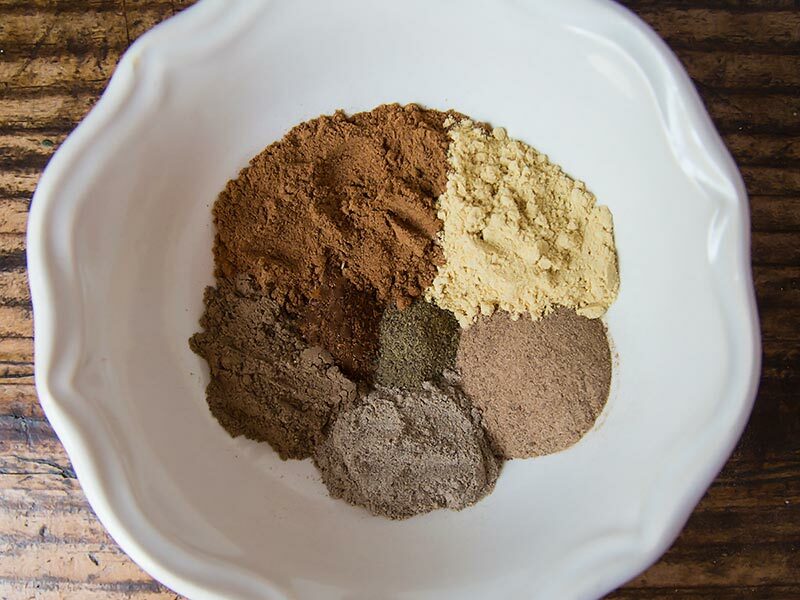 My chai spice blend is a quick shortcut that will allow you to give anything from oatmeal, cupcakes, or pancakes a delicious spices chai flavor spin. And of course you can use this to make masala tea at home. As an avid home cook who avoids processed ingredients as much as possible, I highly rely on a variety of spices to flavor my dishes. I love the bulk spice section of the small specialty grocer in my town and consequently the spice rack in my kitchen just keeps growing. There are some spices like black pepper, cinnamon, cumin, and curry powder that I use so often that they need to be replaced almost every other month. While others, like cardamom, allspice, or nutmeg, I mainly use for holiday baking. Also, a little goes a long ways with these. So in an attempt not to let any precious spices go to waste, I have started to make my own spice mixes. I never buy pre-packaged seasonings anymore. So it only made sense that I would make my own chai latte powder eventually. 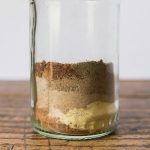 Which are chai tea spices? Here are the spices I use in my chai mix: cinnamon, ginger, cloves, cardamom, allspice, star anise, black pepper. I have most of them already pre-ground in my spice cabinet. But the ones that I usually only have whole (like star anise) I grind up myself in a spice mill/coffee grinder to turn them into a fine powder. Often, recipes for chai flavored baked treats will include a list of individual spices to add. 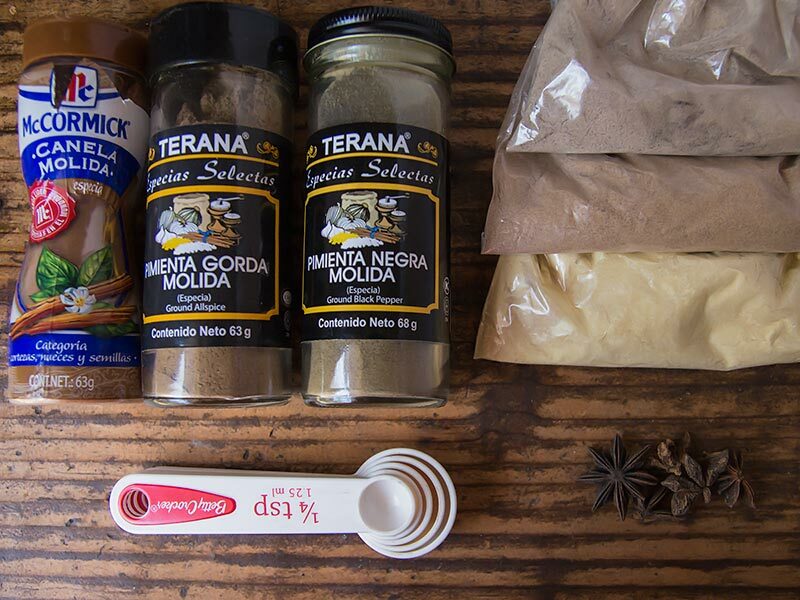 Instead of measuring these out separately, just add up the spice amounts and use an equal amount of this chai powder instead. 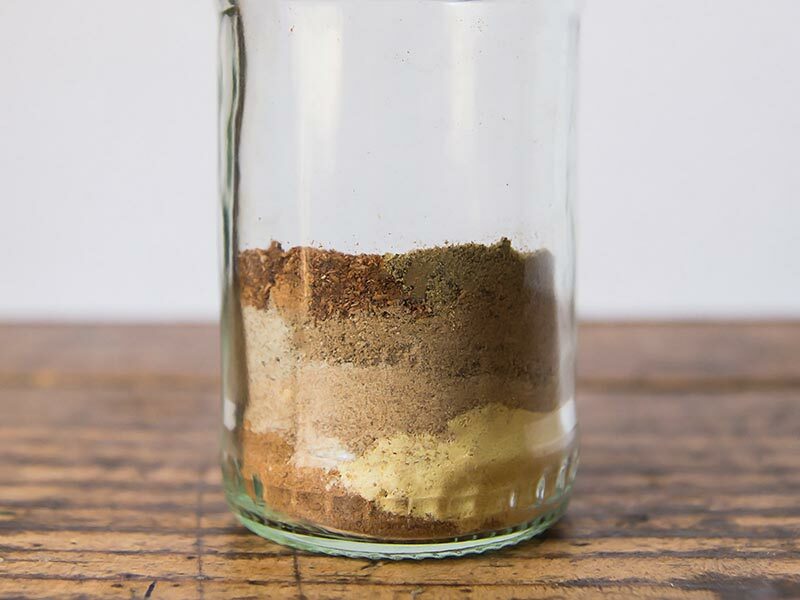 If you have any of these spices whole in your spice cabinet, grind them up using a spice mill. Then measure out all of the spices and stir until fully combined. Store in an empty spice jar, small Mason jar, or any small container with tight fitting lid.